The sciatic and peroneal nerve, pictured above, is a thickest and longest nerve in the body. Sometimes both of these nerves pass the underside of the piriformis muscle before dividing (first picture on left),and sometimes they divide and only the sciatic nerve passes through the piriformis muscle (second picture below). Other times they both pass through the piriformis muscle before travelling down the back of the leg, and eventually branching off and ending in the top and the sole of the feet. (See third photo below). Compression of these nerves, particularly in the instances of pictures 2 and 3 above, can be caused by spasm of the piriformis muscle. 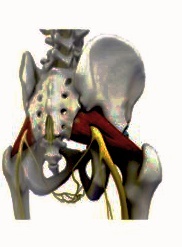 Piriformis syndrome usually starts with pain, tingling, or numbness in the buttocks. Pain can be severe and extend down the length of the sciatic nerve (called sciatica). The pain is due to the piriformis muscle compressing the sciatic nerve, such as while sitting on a car seat or running. 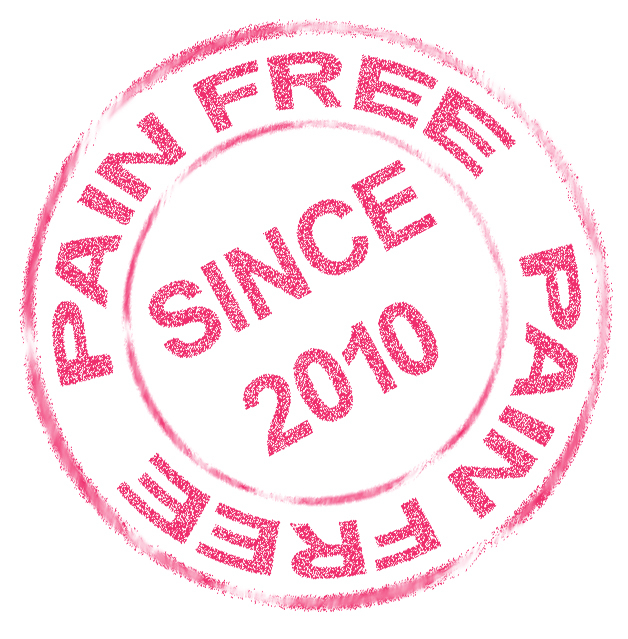 Pain may also be triggered while climbing stairs, applying firm pressure directly over the piriformis muscle, or sitting for long periods of time. 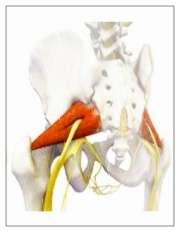 Most cases of sciatica, however, are not due to piriformis syndrome. There is no definitive test for piriformis syndrome. In many cases, there is a history of trauma to the area, repetitive, vigorous activity such as long-distance running, or prolonged sitting. Diagnosis of piriformis syndrome is made by the patient’s report of symptoms and by physical exam using a variety of movements to elicit pain to the piriformis muscle. 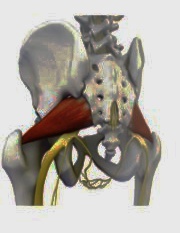 In some cases, a contracted or tender piriformis muscle can be found. Because symptoms can be similar in other conditions, radiologic tests such as MRIs may be required to rule out other causes of sciatic nerve compression, such as a herniated disc. If you have been diagnosed with piriformis syndrome, commence a program of stretching, and then strengthening the entire gluteal region with your Pilates tutor with the consent of your GP. Gentle, contract/relax stretching, with a few recovery days in between is the best way to start. Try this approach for 3 to four weeks, practicing one of the stretches every second day, and see how you feel. If you can not get to the studio for a class that regularly, use a resistance band or a foam roller at home. 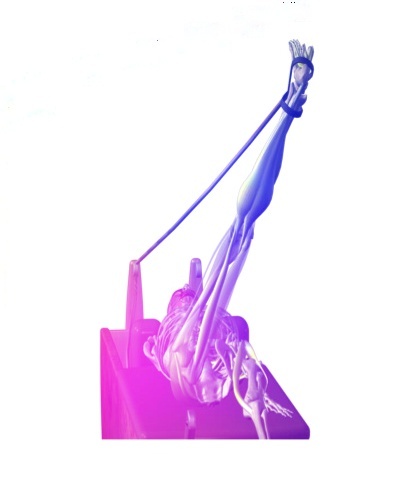 On a reformer, Move the leg towards the centre (Adduct) the leg once raised! Therapy is an evolving process, be patient & be brave. Outcome depends on the individual but there is light at the end if you persevere. To book your reformer sessions – click HERE. To find out more about stretch classes and other therapies – click HERE. ← Get Access to Shake That Zumba for £1 ONLY!